Here are some snazzy birthday facts about 5th of June 1990 that no one tells you about. Don’t wait a minute longer and jump in using the content links below. Average read time of 10 minutes. Enjoy! What day was my birthday Jun 5, 1990? 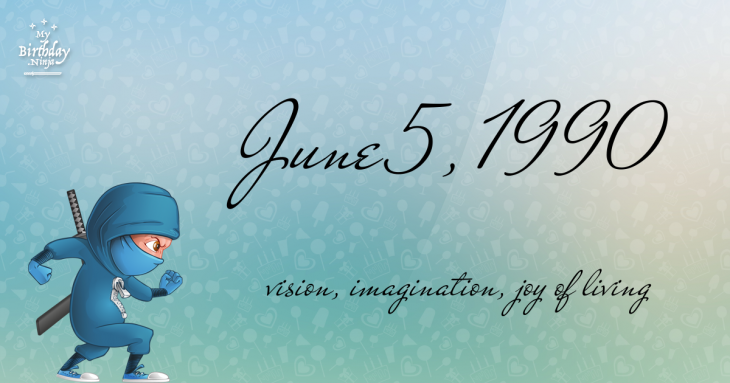 June 5, 1990 was a Tuesday and it was the 156th day of the year 1990. It was the 23rd Tuesday of that year. The next time you can reuse your old 1990 calendar will be in 2029. Both calendars will be exactly the same! This is assuming you are not interested in the dates for Easter and other irregular holidays that are based on a lunisolar calendar. There are 44 days left before your next birthday. You will be 29 years old when that day comes. There have been 10,548 days from the day you were born up to today. If you’ve been sleeping 8 hours daily since birth, then you have slept a total of 3,516 days or 9.63 years. You spent 33% of your life sleeping. Since night and day always follow each other, there were precisely 358 full moons after you were born up to this day. How many of them did you see? The next full moon that you can see will be on May 18 at 21:13:00 GMT – Saturday. Fun stat: Your first one billion seconds (1,000,000,000) will happen sometime on February 11, 2022. If a dog named Negri - a Welsh Springer Spaniel breed, was born on the same date as you then it will be 146 dog years old today. A dog’s first human year is equal to 15 dog years. Dogs age differently depending on breed and size. When you reach the age of 6 Negri will be 42 dog years old. From that point forward a medium-sized dog like Negri will age 4.5 dog years for every human year. World War II: Four thousand Chongqing residents are asphyxiated in a bomb shelter during the Bombing of Chongqing. Thailand elects Orapin Chaiyakan, the first female member of Thailand’s Parliament. The Six-Day War begins: Israel launches surprise strikes against Egyptian air-fields in response to the mobilisation of Egyptian forces on the Israeli border. A coup takes place in Seychelles. After 65 straight days of civil disobedience, at least 31 people are killed in clashes between security forces and indigenous people near Bagua, Peru. A building collapse in Philadelphia kills 6, wounds 14 other people. What does my birthday June 5, 1990 mean? 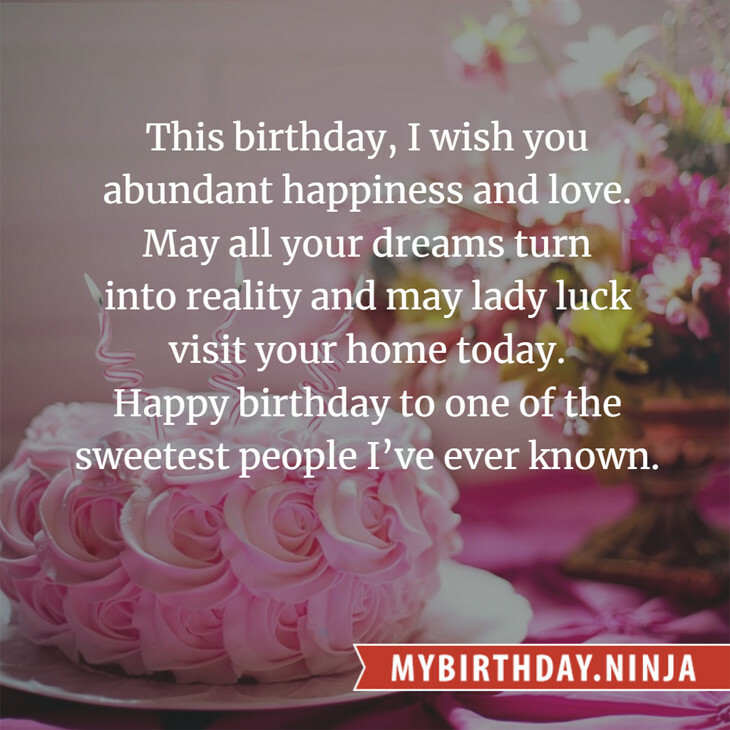 Your birthday numbers 6, 5, and 1990 reveal that your Life Path number is 3. It represents vision, imagination and joy of living. You possess a great talent for creativity and self expression. The following celebrities also have the same life path number: Michelle Branch, Little Willie Littlefield, Robin Spry, Susan Cummings, Amanda Palmer, Donn Swaby, Vesko Kountchev, Liv Kristine, Big Chocolate, Nedra Talley. What is the birthday horoscope for Jun 5, 1990? The Western zodiac or sun sign of a person born on June 5 is Gemini ♊ (The Twins) – a mutable sign with Air as Western element. The ruling planet is Mercury – the planet of communication. According to the ancient art of Chinese astrology (or Eastern zodiac), Horse is the mythical animal and Metal is the Eastern element of a person born on June 5, 1990. Fun fact: The birth flower for 5th June 1990 is Rose for devotion. What is the Love Match for Jun 5, 1990? When it comes to love and relationship, you are most compatible with a person born on March 3, 1965. You have a Love Match compatibility score of +205. Imagine being in love with your soul mate. On the negative side, you are most incompatible with a person born on July 18, 1981. Your incompatibility score is -147. You’ll be like a cat and a dog on a love-hate relationship. Arf-arf, I want to bite you. Meow-meow, stay away from me! How many babies were born on June 5, 1990? Base on the data published by the United Nations Population Division, an estimated 138,233,475 babies were born throughout the world in the year 1990. The estimated number of babies born on 5th June 1990 is 378,722. That’s equivalent to 263 babies every minute. Try to imagine if all of them are crying at the same time. What is the popular baby name on 5 Jun 1990? Here’s a quick list of all the fun birthday facts about June 5, 1990. Celebrities, famous birthdays, historical events, and past life were excluded. Try another birth date of someone you know or try the birthday of these celebrities: February 26, 1973 – Erinn Bartlett, American model and actress, Miss Teen USA 1991; June 19, 1918 – Dave Lambert, American singer-songwriter (Lambert, Hendricks & Ross) (d. 1966); July 19, 1944 – Tim McIntire, American actor and singer (d. 1986).